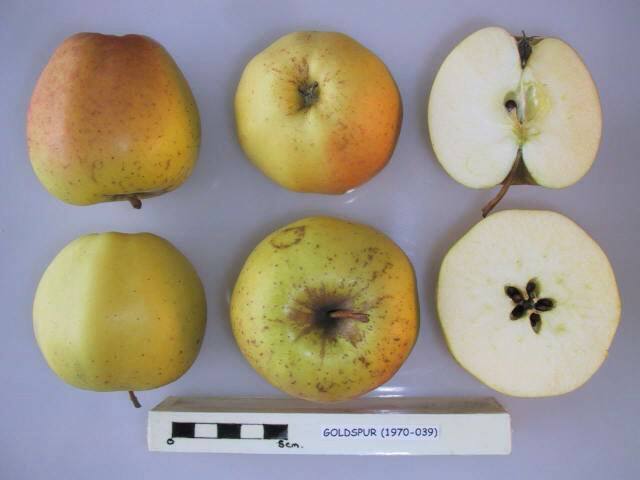 A spur type clone of Golden Delicious. It was discovered in 1960 by Grady Auvil, Sundale Orchards, Roosevelt, Washington, USA. It was introduced in 1963. Fruits have crisp, sweet, juicy flesh with a good aromatic flavour.